The Association of Research Libraries (ARL) has received a $75,000 Digital Humanities Advancement Grant from the National Endowment for the Humanities (NEH) to incorporate more digital humanities metadata into the open SHARE database documenting research and scholarly activities across their life cycle. ARL will work with scholars and librarians to identify requirements for using the SHARE metadata aggregator to expose and link digital humanities (DH) scholarship at all stages of development. With the continued growth of digital humanities scholarship—reflected in academic job opportunities, conference programming, library services, and college and university courses—accessing and discovering the output of this scholarship remains a challenge. Digital projects can have highly distributed components (e.g., codebooks, content, manuscripts), which can be difficult to connect as part of the same intellectual work. Conversely, when such components are too tightly bundled and isolated on project websites, they are hidden from networked search and discovery tools. The project, Integrating Digital Humanities into the Web of Scholarship with SHARE, is co-led by Cynthia Hudson-Vitale, ARL visiting program officer for SHARE and data services coordinator at Washington University in St. Louis Libraries, and Judy Ruttenberg, ARL program director for strategic initiatives and co-director of SHARE. SHARE is a partnership between ARL and the Center for Open Science. 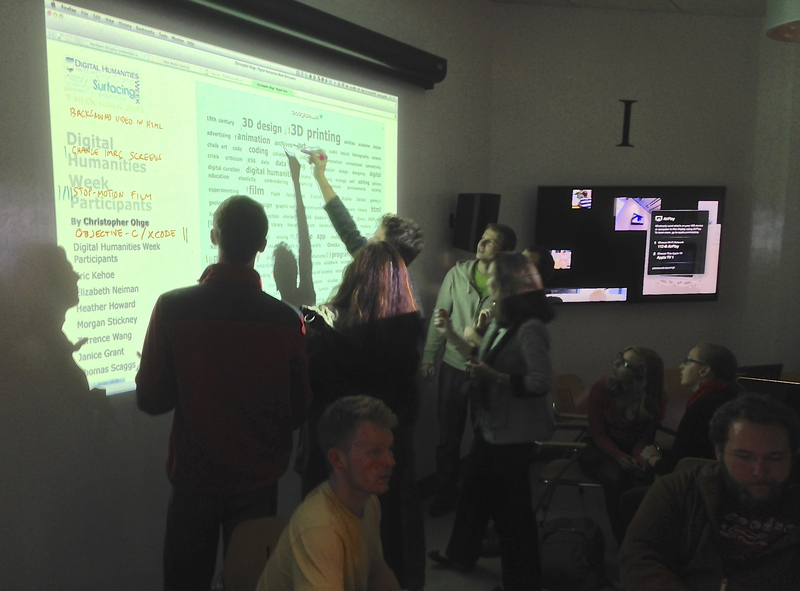 With NEH support, the project leads will use a mixed-methods approach, including surveys of DH centers and focus groups of librarians and scholars, to identify existing metadata models and registries for DH scholarship. This approach will help the project leads better understand the stewardship (and gaps therein) of scholarly assets created throughout a DH project’s life cycle. Following the requirements-gathering phase, this grant will support paid interns to create wireframes and prototypes for aggregating metadata about highly diverse DH assets and for search and discovery. “We look forward to working with an expert advisory board and with our colleagues at the Council on Library and Information Resources (CLIR) to expand SHARE’s capacity and network within the digital humanities community,” said Tyler Walters, SHARE Stakeholder Committee chair and dean of University Libraries at Virginia Tech. Advancing SHARE’s exposure to and use within the humanities will not only increase the visibility of humanities work on the scholarly web; it will also bring together multi-disciplinary communities using common tools and practices and inform future development of humanities-based digital repositories. The Association of Research Libraries (ARL) is a nonprofit organization of 123 research libraries in the US and Canada. ARL’s mission is to influence the changing environment of scholarly communication and the public policies that affect research libraries and the diverse communities they serve. ARL pursues this mission by advancing the goals of its member research libraries, providing leadership in public and information policy to the scholarly and higher education communities, fostering the exchange of ideas and expertise, facilitating the emergence of new roles for research libraries, and shaping a future environment that leverages its interests with those of allied organizations. ARL is on the web at ARL.org. SHARE is a partnership between the Association of Research Libraries (ARL) and the Center for Open Science (COS), underwritten in part by generous funding from the Institute of Museum and Library Services (IMLS) and the Alfred P. Sloan Foundation. SHARE’s mission is to maximize research impact by making research widely accessible, discoverable, and reusable. To fulfill this mission SHARE is developing services to gather and freely share information about research and scholarly activities across their life cycle. SHARE is on the web at share-research.org. This project is made possible in part by the National Endowment for the Humanities: Exploring the human endeavor. Any views, findings, conclusions, or recommendations expressed in this release do not necessarily represent those of the National Endowment for the Humanities. SHARE offered a webinar on October 4, 2018, describing practical workflows for scraping Omeka sites in order to curate ... read more. On Thursday, October 4, 2018, SHARE is offering a webinar describing the outcome of a recent pilot project sponsored ... read more.